Theresa Struhala was indicted for felony murder in Anna's death. On February 6, 1924, Ida Cantor performed an abortion on a woman not named in Westlaw summaries. I'll refer to her as "Patsy" Roe. Drunken moron rides ATV while carrying 9-month-old baby. Baby ends up tossed onto pavement. Fortunately, the child's injuries were not life-threatening. People, DO NOT ride ATVs, lawn mowers, tractors, etc. with children! We can start by looking at mortality trends. It was during the 1940s that the US saw a huge drop in abortion mortality, due to the introduction of blood products and antibiotics. All abortion deaths -- "therapeutic", illegal, and spontaneous (miscarriages) were lumped together in abortion mortality statistics of the time. They fell from 1,407 in 1940 to 744 in 1945. By the end of the 1940s, they'd fallen to 263. Now for a look at some particulars. Since my focus is on abortion deaths, those will be the examples I have. According to NOW, Pauline Shirley died in 1940 from a self-induced abortion. Perplexingly, NOW says that Pauline needed the abortion for life-threatening medical complications, but this makes no sense since doctors didn't risk prosecution for taking steps necessary to save a pregnant patient, even if these steps ended the life of the fetus. NOW does not cite its sources. Agnes Pearson died in 1941, and two physicians were charged in her death. A blind lay abortionist was arrested for the abortion death of Helen Clark. Harriet Lichtenberg's 1942 abortion death was blamed on a physician. One doctor and several accomplices were arrested for the 1942 abortion death of Madeline McGeehan. A doctor who was the golfing buddy of the prosecutor beat the rap for the 1942 abortion death of Cleo Moore. The grand-niece of Andrew Carnegie, Florence Schnoor, was killed in 1942 by an abortionist who was never identified. A doctor implicated himself in the 1944 abortion death of Amelia Cardito. Beatrice Fisher died after a 1945 abortion by a Seattle physician. Jane Ward, heiress to the Drake Bakeries fortune, died in 1947 from an illegal abortion. A physician was implicated in the death of Ilene Eagen. Doris Becker died in 1948 from a physician-induced abortion. A non-physician was responsible for the 1949 death of Dorothy Martin. Two people came searching for "Ex-Abortion Providers testimonies"
This seems a good time to start with mention of the Society of Centurions, an organization originally founded in Eastern Europe to help with the emotional and spiritual recovery of former abortion workers. The Society's name is a reference to the Centurion in the Bible, who helped to crucify Christ. When Christ died, this soldier fell to his knees, dropped his sword, and cried, "Truly this was an innocent man." The Centurions have recognized the innocence of their unborn victims and dropped their weapons. Dr. Paul Jarrett is unusual in that his awakening came early in his abortion career. Dina Madsen worked in abortion during the early 1990s. Dr. Anthony Levatino had a moral and spiritual awakening when his daughter was struck and killed by a car. Kathy Sparks worked phones, prep, and other areas of abortion practice. Carol Everett operated the Dallas abortion mill where Shari Graham was mortally wounded in her safe, legal abortion. Dr. David Brewer was troubled at first by abortion, then grew calloused. Deobrah Henry was befriended by a prolifer who led her out of the business. Dr. Beverly McMillan had opened the first abortion clinic in Mississippi. A simple question by a new staff member started her turn-around. Joan Appleton is now active with the Society of Centurions. Joy Davis, while working for abortionist Tommy Tucker, fought in vain to save the life of Angela Hall. Dr. McArthur Hill began his abortion career in New York in 1971. Judith Fetrow was uncomfortable with abortion when she worked at Planned Parenthood, but her first attempt to leave was tripped up by a nasty prolifer. Dr. Joseph Randall, paradoxically, became involved in later abortions just as he was also exploring Christianity. Dr. Yvonne Moore worked for two years as an abortionist. Luhra Tivis was sent by a temp agency to work for George Tiller in Wichita. Brenda Pratt Schaffer was sent by a nursing agency to assist Martin Haskell in his late-abortion business. Norma McCorvy, the "Jane Roe" of Roe vs. Wade, was working at a Dallas area abortion facility when Operation Rescue moved in next door. Kirsten Breedlove worked at the same abortion facility as Norma McCorvey. To purchase videos or DVDs of former abortion workers' testimonies, visit Meet the Abortion Providers. Also read, Ex-Abortionists: Why They Quit by Mary Meehan. I've had two people come in searching for "ambulance atlanta surgi-center", which has me wondering if something recent went down there. If anybody knows, please pass it on. Atlanta Surgi-Center is the National Abortion Federation member that performed the safe and legal abortion that left Catherine Pierce in a fatal coma, and seems to be the place where Geneva Colton's fatal abortion was performed. Investigators found disturbing things in the wake of Catherine's death. The clinic was faulted for administering "the same anesthesia dosages" to patients whose weights ranges from 107 to 167 pounds, inadequate record keeping, and inadequate supervision of patients.Among the patient care problems cited, the investigators also said that they found discrepancies between the number of fetuses sent to the disposal lab and the number of abortions performed. In 1989 Atlanta Surgi-Center had logged 1,748 abortions, but had only sent 155 fetuses for disposal. In 1988 they had logged 2,774 abortions, but only sent 155 fetuses for disposal. In 1987 they logged 1,104 abortions but only sent 306 fetuses for disposal. The investigation into fetus disposal was prompted by local prolifers reporting that they had seen hundreds of fetuses in the clinic's dumpsters. Dr. Gay, the clinic director, denied the allegations. I have a page of links on babies born live during abortions. It never hurts to remember that to an abortionist, the "dreaded complication" isn't a dead mother; it's a live baby. Ignoring those that survived an early abortion attempt and gestated further, I'll just look at those who came out alive and whole either during or immediately after the abortion. Gianna Jessen was born alive during an attempted saline abortion. But unlike Baby W., nobody strangled her. She has cerebral palsy as a result of the saline damage and extreme prematurity, and walks with a pronounced limp. Ximena Renaerts was born alive during an abortion and placed in a bucket to die. Due to extreme prematurity, and the neglect she suffered after she was delivered, Ximena needs to use a wheelchair and has severe developmental delays. Ana Rosa Rodriguez had her arm ripped off during an attempted abortion by Abu Hayat, the same guy who performed the fatal abortion on Sophie McCoy. Kenneth "Creepy Kenny" Yellin was the abortion clinic owner gunned down outside his seedy Chicago abortion mill in 1979 in an apparent gangland slaying. Gov. Rick Perry's chief of staff met with key aides about a new vaccine to prevent cervical cancer on the same day its manufacturer donated money to his campaign, documents obtained by The Associated Press show. "These are the days of miracle and wonder and don't cry baby don't cry don't cry don't cry..."
The amniocentesis confirmed the diagnosis that our baby had Trisomy 18. The doctor went over the numbers with us: 80% chance of still birth, 90% chance he would die before first birthday. We were steered in the direction of terminating the pregnancy. We explained that this was not an option. We were told to call our OB in the morning. We cried all night long. The next morning, we called our OB. She told us that our little Jordan was a nonviable fetus and there was no reason to continue pregnancy especially considering the hyperemesis that Jen was experiencing. We were outraged. Our doctor had called the pregnancy 'pointless'. She refused to see us in the office until mid January and indicated that follow up appointments were not necessary. She advised us to terminate the pregnancy. We were devastated and felt alone. We had been abandoned by our doctor. To add insult to injury, our OB refused to authorize Zofran and told Jen she was no longer eligible for disability. Fortunately, they were able to find a new doctor who helped them to hold on until Jordan suffered a crisis requiring immediately delivery if they were to ever see him alive. They had 32 precious hours with their baby, to surround him with family and love. Just because his life was short doesn't mean it wasn't worth living. As Sojourner Truth said, "If my cup won't hold but a pint, and yourn holds a quart, wouldn't ye be mean not to let me have my little half­measure full?" Alerte Desanges had been informed that her fetus was deformed, so she went for an abortion at Choices Women's Medical Center in Queens on September 16, 1994. She was 36 years old and 19 weeks pregnant. The abortion was performed by David Gluck. Staff said that after her abortion, Alerte was "feisty, telling nurses she wanted to go home. Then all of a sudden, she coded, she went into cardiac arrest." Gluck's license had been revoked for three years after selling controlled substances to finance his gambling addiction. Gluck had also been Medical Director at C.R.A.S.H. when abortion patient "K.B." died. After K.B. 's death, the health department investigated and found a mystery: K.B. 's chart listed her post-operative condition as "pink, responsive, alert," even though she had gone into full cardio-respiratory arrest by the time indicated on the assessment. They learned that the note had been entered into the chart before the abortion was even performed. The inspectors noted that CRASH "did not employ proper monitoring equipment or procedures," "had no working EKG machine," and didn't have a cardiac defibrillator. They noted that no one on staff was qualified to perform CPR. No one on staff was qualified to administer anesthesia, and they did not use proper procedures or equipment. Anesthesia was administered "by eye," with no means of accurately measuring the dose. Dosage was estimated to be twice that recommended in the procedure manual. CRASH had no documentation verifying the credentials or qualifications of medical director Gluck. Gluck had been previously convicted of felony charges related to the sale of 48,000 Diluadid tabets to pay off gambling debts. His license had actually been revoked two months before K.B. 's death, but had been restored by judicial stay. There was no evidence at the investigation two weeks after K.B. 's death that Gluck had reviewed her chart, or the charts of 18 other patients identified as having suffered complications. The Choices clinic director said "We are firmly committed to helping people who are skilled medical professionals who have had a fall from grace." Dan Harris, pro-abortion reporter for ABC, pointed out that in most of the country, Amillia could have been legally aborted well past the point of her birth. "Only one state, North Carolina, explicitly prohibits aborting a fetus at the point at which Amillia was born; 12 states permit abortion at that point; 23 states leave it to a doctor to decide whether the fetus is viable; and in 14 states, there are no laws on the books that would prevent such an abortion." 1. WTF? The MSM noticing that it's legal to abort babies that could survive if born? Did somebody hit them on the head with a mallet or something? Did Jack Willke or somebody sneak in and hold them at gunpoint and force them to report this? This is the first time in nearly a quarter-century of doing this that I've seen MSM acknowledgement of this little fact. Is it a sign of the coming apocalypse? 2. Will it make any difference? Nobody blinked when Baby Rowan was left to die in a toilet over his mother's protests. Nobody blinked when Christin Gilbert died having her 28-week fetus aborted. Nobody blinked about the live-born baby thrown up on the clinic roof. And Gianna Jessen has been traveling the country telling her story for over a decade. Yeah, babies that could have survived are being aborted. That's been the status quo for 34 years now. Are we as a society just slow on the uptake and about to catch on, or will this blow over? OT: In my email today! My friend Karen from Sokcho (she's an Aussie) sent vacation pictures. Wow! She went to Antarctica! Which means that maybe I could afford to go to Antarctica, too! Wouldn't that be cool? Why are those penguins standing on a sidewalk? She went backpacking in Antarctica? Huh? I remember how excited Karen was to see a little bit of snow for the first time. She must have had a blast with all the snow in Antarctica. Shortly afterward, Shirley had a heart attack, and her boyfriend called 911 and started CPR. The ambulance took Shirley to the hospital, where she died. The autopsy found that Shirley had severe coronary artery disease, which had never been diagnosed. Shirley's mother faulted Lucero with Shirley's death because he failed to detect her heart problem when he examined her at the abortion facility. It does lead one to wonder what sort of pre-operative examination was performed, that she was seen as healthy enough for outpatient surgery when she had heart problems so bad that she dropped dead later that day. Though it is to their credit that they told her to go to an emergency room. Although the abortion did not directly cause Shirley's death, I list her as an abortion death because her belief that the abortion was causing her symptoms led her to delay seeking appropriate medical care. This is similar to the way women with ectopic pregnancies are more likely to die if they choose abortion, because they attribute their symptoms to the abortion and don't realize that their lives are in danger until it's too late. Barbara Hoppert was a sixteen-year-old high school sophomore when she checked into Loma Linda University Hospital for an abortion. Barbara was in the second trimester of her pregnancy. She was having the abortion on the recommendation of her physician, because of a congenital heart condition. The abortion was performed on February 22, 1983. During the procedure, Barbara's heart stopped. Physicians were unable to revive her, and she was pronounced dead on the operating table. Thanks to the woman who came forward to share this memory of Barbara. Every single woman and girl who loses her life so needlessly was a real, flesh-and-blood person with hopes and dreams and fears. Their deaths ought not to be just brushed off. They're not just so much grist for the abortion mill. Christin Gilbert died after an abortion George Tiller holds was justified on grounds of maternal health -- though Christin's autopsy report showed no health problem at all, aside from being needlessly dead. Below are (relatively) intact pathology specimens from abortion facilities. I chose photos that, like the baby Amillia picture, show the entity in question with adult hands, for scale. Prochoicers, maybe you can understand how uninformed, ignorant hicks might see these formless blobs of worthless disposable tissue and be confused and think that they looked like babies. Saline. That's why the skin is so red. Another saline, dead longer and thus the blood has blackened. And again, saline causing the subcutaneous hemorrhaging that turns black as the blood gets old. D&X from Dallas. For some reason they just decapitated this fetus/blob of formless tissue without any recognizable human features. I stumbled across this today. 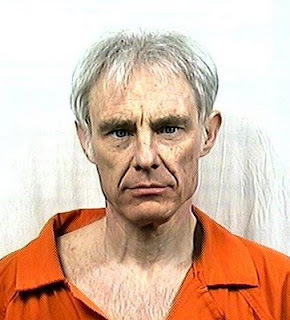 Dr. Joe Bills Reynolds, who fatally botched Gaylen Golden's abortion and killed his wife, Sharon, doing a liposuction went to meet his Maker on February 2, 2003, at age 67. Reynolds not only married again: he married another woman named Sharon. Is Miami preemie really the youngest? Amillia was born after 21 weeks, 6 days. But I recall reports of younger survivors. James Gill, 19 weeks, 1987. "Mistie Guthrie" was fifteen years old when her mother overheard her discussing an impending abortion at Indianapolis Women's Center on March 19, 1987. Mrs. Guthrie called the clinic on March 23, telling employees in two separate phone calls that she opposed the planned abortion for Mistie and would not give her consent. Desperate for help, Mrs. Guthrie called her family's physician. He was able to get another phone number for the abortionist -- Dr. James R. Brillhart. On March 30, Mrs. Guthrie called this phone number and reached another clinic where Brillhart did abortions. Mrs. Guthrie told the employee that neither she nor Mistie's father would consent to an abortion for their daughter. Despite her mother's efforts to intervene on her behalf, Mistie was aborted by Brillhart at Indianapolis Women's Center, in violation of parental consent laws. Mrs. Guthrie believes that Mistie's sister signed the consent form. On May 11, Mrs. Guthrie found an abortion-related suicide note from Mistie. She hospitalized her daughter at Community North Adolescent Psychiatric Unit for depression and guilt. As of June 22, 1987, the date Mrs. Guthrie filed suit against Brillhart and his clinic, Mistie was still hospitalized. Mrs. Guthrie got a final kick in the teeth from society when her lawsuit was dismissed. Leo Kenneally was the owner/operator of the notorious Her Medical Clinic in California. Other activists tell me he's still alive and presumably still in business. According to the medical board web site he's finished his probation, though the California medical board web site doesn't give you access to disciplinary documents so you can find out what it is he did that he was in trouble for. He performed the fatal abortion on Lilliana Cortez. Also dead at his mill were Michelle Thames, Donna Heim, and Maria Soto. Her Medical Clinic faced a formal complaint filed by local emergency room doctors due to the large number of abortion-injured women who were arriving by ambulance from Her. After the deaths of Michele Thames, Liliana Cortez, and Maria Soto, and in the wake of the complaint, the state moved to shut the facility down. Kenneally instead legally closed the facility and re-opened it as his private office, which would not have to be licensed by the state. Angela Scott/Dolores Smith: In June of 1979, National Abortion Federation member Atlanta Women's Pavillion rose to new levels of incompetence when staff there managed to fatally injure two teenage abortion patients in less than an hour. Angela stopped breathing in recovery. The nurse that was administering anesthesia to Deloris ran off to help resuscitate Angela -- and left the drug drip running into Deloris's IV, overdosing her. When the nurse returned, she found Deloris in cardiac arrest. Then staff refused to release the injured girl to EMS until the doctor came back from accompanying Angela to the hospital. The girls both were left comatose. Angela died about a week later. Deloris -- whose mother later sued the clinic, stating that her daughter's pregnancy test had been negative -- lingered for months in a nursing home before she died. "Before, we only had two or three abortion operations a day," Zheng Weili, director of the centre which provides free consultations and abortions for students, was quoted as saying by China News Service. "But since the winter vacation started last week, we should be doing about 10 abortions every day, and most of them are 16 to 21 year old students," Zheng said. Amillia Taylor, born after IFV, was delivered at only 21 weeks, 6 days. Because her parents knew that doctors wouldn't attempt to resusciate a baby 22 weeks or younger, they lied when mom Sonja Taylor was admitted to the hospital, so that doctors would think the baby was a 23-weeker. She weighed just 10 ounces. Here she is, lying next to a pen: photo. Meanwhile there are specialists who would gladly abort babies Amillia's age and older. And not for any sort of "maternal or fetal indications" but just because the mother showed up and paid for the deed. Right in Florida, Orlando Women's Center advertises 24+ week abortions. Tiller cheerfully advertises 2nd and 3rd trimester abortions. Liberty Women's Health Care does up to 24 weeks -- more than two weeks older than Amillia. Choices Women's Medical Clinic advertises up to 24 weeks. Warren Hern advertises elective abortions up to 26 weeks -- a month older than Amillia -- and "medically indicated" up to 36 weeks. Abortion Advantage advertises elective abortions to 24 weeks. Atlanta Surgi-Center through 26 weeks. Doesn't it just make you proud to live in a country where you have to lie to save your baby, but cash on the barrel head will get that same baby put to death cheerfully and efficiently? On February 20, 1927, 23-year-old Angerita Hargarten died in her home from an abortion performed there that day. Midwives Anna Trezek and Frances Raz were held by the coroner, Trezek as the principal and Raz as her accomplice. When 23-year-old Stacy Ruckman went to Scott Barrett for an abortion on February 20, 1988, she didn't know how he anesthetized his patients. According to Barrett's staff, Barrett would not have general anesthesia administered to his abortion patients. Instead, he would inject them with excessive amounts of the local anesthetic Lidocaine. The overdose would cause the woman to lose consciousness. William Malcolm Knarr was another search. Somebody else was looking for Henry Pimentel, husband of Ester Pimentel. This husband and wife team were arraigned on charges of allowing a non-physician to practice medicine on public aid patients. A former employee also said that Henry Pimentel would perform surgery but sign it off as being performed by Ester for billing to public aid, including 7 abortions performed while Ester was in the Philippines. The Illinois Department of Professional Licensing has disciplinary actions on file against both Ester and Henry. Esther was put on probation in 1994 for "Alleged fraudulent billing and lack of quality of care rendered." Henry's license was suspended in 1991 for "Performed several operations in which he signed another doctor's name to the Public Aid forms because, at that time, he was not eligible to participate in the Medical Assistance Program. In addition, for approximately seven Years, he prescribed controlled substances on a non-renewed license. On May 11, 1990, he pleaded guilty to vendor fraud in Cook County." His license was restored on probation in 1994. Somebody else wanted Klopfer. His quackery is recounted here. A couple of searches were looking for similar things: "surgicenter stories atlanta abortion" and "Midtown Hospital Closed Down ". Well, Atlanta Surgicenter is the National Abortion Federation member where Catherine Pierce underwent her fatal abortion. It might be the same facility where Geneva Calton's fatal abortion was performed. Sara Niebel underwent her fatal abortion at Midtown Hospital in Atlanta. Midtown was a National Abortion Federation member facility that experienced numerous scandals pertaining to illegal late abortions and filthy, chaotic conditions. Jacqueline Reynolds died after an abortion at Grady Memorial in Atlanta. Arnetta Hardaway's fatal abortion was performed in Atlanta. Angela Scott and Deloris Smith were both fatally injured within the same hour at Atlanta Women's Pavillion. Demitrice Andrews underwent her fatal abortion somewhere in Atlanta. Allegra Roserberry's fatal abortion was performed at Emory Hospital in Atlanta. It wasn't until I noticed that somebody came here from searching for "okc surgeon murder wife" that it struck me that both cases I know of in which abortionists murdered their wives were in Oklahoma City. We have John Baxter Hamilton (pictured), who bludgeoned his wife to death in the bathroom of their home. And we have Joe Bills Reynolds, who sliced his wife open in a supposed liposuction surgery and then just let her bleed to death. Somebody wanted "back alley butchers"
Somebody came searching for Lisa Bardsley. Lisa was 26 years old when she went to Dr. John Biskind in Phoenix, Arizona. She was at least 20 weeks pregnant when she underwent her abortion on February 16, 1995. An hour after the abortion was completed, Lisa was discharged from the clinic. With a friend who had accompanied her, Lisa headed home to northern Arizona. Lisa took ill, so she and her friend stopped at a motel and called for medical help. Lisa was taken to a hospital in Cottonwood, where she died February 17. The autopsy showed that she'd bled to death from a large uterine laceration. This though the CDC noted that with modern medical technology for diagnosing and treating bleeding, there is absolutely no excuse for an abortion practitioner to allow a woman to bleed to death. Biskind went on to get into further trouble for delivering a live, nearly term infant during an abortion performed on a teenager, and for the abortion death of Lou Ann Herron, who bled to death right there at the clinic rather than on the way home. Lou Ann's death got far more press than Lisa's, whose death for some reason did not capture public attention or generate outrage the way Lou Ann's death did. Biskind's license was finally revoked in 1998, so even a medical board committee had the penetration to fathom that this guy was trouble. Though it took two dead woman and a baby almost killed near term for them to catch on to that. The clinic where Lisa died was owned by abortionist Moshe Hachamovitch, who was implicated in the abortion deaths of Christina Goesswein, Tanya Williamson, Luz Rodriguez, and Jammie Garcia. Magnolia Reed Thomas was a 35-year-old mother of two when she went to Hedd Surgi-Center in Chicago for an abortion. The abortion was performed by Rudolph Moragne on February 19, 1986. Moragne failed to note that the fetus was growing in Magnolia's fallopian tube, rather than in her uterus. After Magnolia was discharged from the clinic, the undiagnosed ectopic pregnancy ruptured, and Magnolia was rushed to the hospital. There, doctors did everything they could to save her, but she died from blood loss and shock that day. Moragne also performed the fatal abortion on Diane Watson at Hedd Surgi-Center. Hedd remained open after the deaths, and a later inspection found poor sanitation and infection control, unlicensed and unqualified staff, out of date medications, mold on the breathing tubes, and mouse droppings in the operating room. A revocation agreement barred Hedd from performing any procedures but abortions. Conditions that were too disgusting for other patients were deemed good enough for abortion patients. In New York in 1956, a scrub nurse by the name of Leobaldo Pejuan was sentenced to prison for the abortion death of Jacqueline Smith the year before. In the Homicide in Chicago database, I found the 1914 abortion death of Lillie Giovenco, for which a Dr. Leopold Pijan was arrested. When I go back to my mom's, I'll have to dig through the basement for my papers and see if I can find the original New York Times articles on the death of Jackie Smith, to see how old Leopoldo Pejuan was. There is more food for thought in that database than I had expected to find. Someone sought "herbal abortion death ectopic"
I can only assume they were seeking information on Kris Humphrey, who died in 1994 after persisting in taking a pennyroyal concoction in order to "safely" and "naturally" abort what turned out to be an ectopic pregnancy. As desired by somebody brought here by a search engine, I bring you information on William Malcolm Knarr, based on an affidavit by a former employee. Please keep in mind that Knarr's full exploits are not covered here, just the observations of one person. The following allegations are from the affidavit of former employee "S.M.," dated 10-22-92. There were no nurses on Knarr's staff, no RNs, no LPNs. All staff, including a receptionist with no medical training, started IVs to produce anesthesia and restore consciousness. Twelve vials of Versed became unaccounted for. Versed was administered in manner inconsistent with advice of PDR, which recommended its use only in settings "that provide constant monitoring of respiratory and cardiac function." Was this sloppiness at Knarr's facility dangerous? Consider the women left dead due to anesthesia mishaps during abortions. The anesthesia used caused transient amnesia. Women who changed their mind and resisted proceeding with the abortion were given more Versed. Said the former employee, "If a woman asked Knarr to stop the procedure, he ignored her because he felt she was drugged up and wouldn't remember it." All staff but one assisted in abortion procedures -- and remember, these staff were not nurses or other medical professionals. They were not qualified to deal with the potentially life-threatening emergencies that can arise during an abortion. Instead of having a trained ultrasound technician, one employee was trained to perform sonograms. Since ultrasound is used to verify the pregnancy, to verify that the uterus is normal in configuration, that the embryo or fetus is indeed in the uterus and not in a fallopian tube, and the age of the embryo, mistakes in ultrasounds can be dangerous to the patient. Mistakes in performing these tasks can lead to life-threatening errors. Due to an error in sonogram reading, one patient was discovered to have an advanced pregnancy beyond 16 weeks, resulting in lodging of fetal head, which Knarr crushed with clamps. Patients were required to pay for the abortion before any other activity, including counseling and ultrasounds. Patients who changed their minds about having an abortion would be charged for an office visit and sonogram, in the amount of about $90, even if she had not seen the doctor at all. After the patient's payment was collected, she would be given materials to read, which described the abortion procedure as safe, and not in compliance with material "which is supposed to be given to the woman eight hours before her abortion." Help with adoption was not offered. Patients were told verbally and in written materials not to believe any information given to them by prolife protesters or sidewalk counselors as they entered the clinic; no one at the facility would review the material first and check if the information was accurate or not. Women counseled personally by Knarr always followed through with abortion. Patients who paid in cash had their abortions done that same day, regardless of informed consent or whether or not they had eaten before arriving at the facility. Not only did this violate informed consent requirements, it placed patients at high risk of aspirating during the abortion and possibly choking. This could result in brain damage or even death. Patients were not required to provide identification to prove that they were of age to sign the consent forms. In order to hide the fact that the clinic was violating regulations by having the staff member who had done counseling assisting in the abortion, staff would sign records for each other's patients. The training for counselors consisted of reading materials that they were given. The staffer who scheduled an abortion was given a percentage of the abortion fee. Cash paid for abortions often was unaccounted for. The medical history, blood pressure, and Rh factor testing were done by the unqualified staff. RhoGam was given in doses not in accordance with the Physicians Desk Reference. Knarr, the only physician on staff, would be notified by telephone when all the patients were present. At least the first four patients were to be prepped, with their feet in the stirrups, ready for their abortions, upon Knarr's arrival. This meant that patient prep was being done with no medical personnel present at the facility at all. Once Knarr arrived, Knarr would sometimes meet with his staff for as long as two hours, leaving the patients unattended on the abortion table. After laminaria were inserted, women would be sent out of the facility to occupy themselves, rather than being provided with a place to rest. There was no procedure for verifying that all fetal tissue had bee removed. The fetal tissues were stored in an unrefrigerated barrel inside the back door of the clinic. One employee found a four-inch fetus in the clinic garbage disposal. In cases where less than 10 cc of material was removed, tissues were sent to a pathologist. However, if the pathology report indicated that the abortion was incomplete or had removed no fetal tissue at all, women were not notified and no effort was made to determine the reason there wasn't fetal tissue in the specimen. This put the women at risk of ruptured ectopic pregnancy and other potentially life-threatening complications. It was common for patients to suffer tears of the cervix. Pelvic inflammatory disease was common. Knarr once left a tenaculum and speculum inside a patient. Neither post-abortion counseling nor referrals were provided. The police officer who responded regularly to calls about the prolifers outside the facility was dating a clinic staff member. Blood was stored with food in the refrigerator. After OSHA inspectors found areas of non-compliance, Knarr took no corrective actions to conform to OSHA standards. One employee used Methamphetamine during work hours, and Knarr's clinic employees smoked marijuana at a picnic at Knarr's house. Knarr often arrived appearing disheveled, and appeared to be high on drugs on occasions. Knar once completed abortions after stating that he was not alert due to having taken drugs. Knarr took Talwin from sample packages. An employee heard Knarr phoning prescriptions for Xanax for himself and another employee. A Wal-mart pharmacist told an employee that Wal-mart would no longer accept prescriptions from Knarr due to an investigation of Knarr overprescribing drugs. A 16-year-old girl's mother called "in tears" after abortion stating that Knarr had "torn up" the girl's uterus and that as a result she suffered fever, hospitalization, and sterility. Besides the allegations raised by this former employee, it should be noted that Karr was sued for an incomplete abortion and other cases of malpractice; he lost his hospital privileges. Knarr was convicted in Oklahoma for sale of marijuana and LSD and possession of hashish, but had failed to disclose this on a federal application A petition to revoke his license listed multiple violations and said, "Licensee has the inability to practice the branch of the Healing Arts for which he is licensed with reasonable skill and safety to patients by reason of illness, alcoholism, excessive use of drugs, controlled substances, chemical or any other type of material or as a result of any mental or physical condition." Knarr's license was finally suspended in 1994, and expired in 1996. In 1997, his license was reinstated but kept in suspended status. Knarr was a member of the National Abortion Federation. The Kansas Medical Board no longer lists Knarr. Why is it that the champions of "choice," who claim that they're not just about abortion, abortion, abortion, didn't do squat to make other options available to college women? Why did women on campus have to wait for the "antichoicers" to take action? Why wasn't NOW championing all of these things decades ago? On February 17, 1929, 25-year-old Violet Diancalana died in the home of Katherine Bajda, of complications of a criminal abortion performed on her there that day. Mrs. Bajda, identified as a homemaker, was held by the coroner. On March 15, Bajda was indicted for felony murder by a grand jury. Lisa Bardsley was 26 years old when she went to Dr. John Biskind in Phoenix, Arizona. She was at least 20 weeks pregnant when she underwent her abortion on February 16, 1995. An hour after the abortion was completed, Lisa was discharged from the clinic. With a friend who had accompanied her, Lisa headed home to northern Arizona. Lisa took ill, so she and her friend stopped at a motel and called for medical help. Lisa was taken to a hospital in Cottonwood, where she died February 17. The autopsy showed that she'd bled to death from a large uterine laceration. Biskind went on to get into further trouble for delivering a live, nearly term infant during an abortion performed on a teenager, and for the abortion death of Lou Ann Herron. Herron's death got far more press than Bardsley's, whose death for some reason did not capture public attention or generate outrage the way Herron's death did. On February 16, 1925, 28-year-old Agnes Crowe died in Chicago's West Side Hospital from a criminal abortion performed that day. The coroner indicated that a female midwife was responsible for Agnes' death, but did not name the guilty party. Aw! Isn't it cute the way the little aborted baby stars fly up to Heaven? While the one lucky little "chosen" star gets to gestate in Mommy's tummy! Unconscious admission, or intentional statement? What do you think? Tell the Orlando NOW chapter here: info@noworlando.org. I had to send them an email myself, to congratulate them on the aptness of their artwork. On February 16, 1929, Mrs. Ruth Weir, of East Orange, New Jersey, died at Orange Memorial Hospital of sepsis contracted through a criminal abortion. Dr. James R. Chamberlain testified that he had examined Ruth at her home and had admitted her to the hospital due to a septic condition. Dr. James Wilson testified that he had treated Ruth in the hospital during late January and that she was suffering from septicemia. Dr. Maurice Sturm was arrested when Ruth implicated him in a deathbed statement. Mrs. Frieda Sanger testified that Sturm had sent Ruth to her home to recuperate. Sturm admitted to performing the abortion, but insisted that it had not been illegal because it had been necessary to save Ruth's life. The District Attorney claimed that Sturm failed to keep proper records, including concealing names and appointments of patients. Sturm, who was later acquitted of the manslaughter charge in Ruth's death, alleged during his trial that a judge had demanded bribe money from him to dismiss the case, but that $1,000 he had given the judge was a gift and not part of the bribe money. The majority of criminal abortions were performed by physicians, not amateurs. If the doctor thought the abortion was necessary to save the mother's life, all he had to do to protect himself from prosecution was keep adequate records. When an abortionist killed a patient before legalization, the law would look at him closely and not shrug the death off as unimportant. We don't know if Strum kept poor records on Ruth because the abortion was illegal, or because he was a quack who just kept poor records. On February 16, 1890, Mrs. Mary Keegan died from complications of an illegal abortion performed that day. Mary died at the location where the abortion was performed. Mrs. Annie Schneider was arrested and held by the Coroner's Jury. Mrs. Schneider is described as employed in an unidentified profession. Mary Keegan's death is the only one in the Chicago Homicide Interactive Database that is connected to mrs. Schneider. Somebody was looking for "abortions for minors"
"April" Roe was 17 years old when she underwent a saline abortion in New York City on August 20, 1971. Barbara Hoppert, age 16, was in the second trimester of her pregnancy. She was having the abortion on the recommendation of her physician, because of a congenital heart condition. Beverly Moore, age 15, died after abortion by Tuckey Hayes at Chattanooga Women's Clinic -- the "Lime 5" clinic. Hayes assured Beverly's parents that she would be "all right" just fifteen minutes before she died. Cheryl Vosseler was 17 years old when she was admitted to Fresno General Hospital on July 31, 1969, to undergo a legal abortion. Christella Forte, age 16, screamed, convulsed, and went into cardiac arrest 27 hours after instillation of saline for an abortion. She died without ever expelling the 23-week fetus. Dawn Ravenell's parents didn't know anything was amiss, until they got a phone call to come to the hospital right away, that Dawn was "fighting for her life." Deanna Bell was only 13 years old when she was given massive doses of Brevitol for an abortion by Steve Lichtenberg. Deborah Ann Lozinski languished for two months in a coma, hospitalized after an abortion at Medical Care Center in Woodbridge, New Jersey. Denise Montoya was fifteen years old and 25 weeks pregnant when her parents brought her to Women's Pavillion in Houston for an abortion on May 13, 1988. Erica Kae Richardson was brought to abortionist Gene Crawford by her aunt on March 1, 1989. Erica's aunt reported that Crawford left the girl unattended for four hours after her abortion, then at 11PM carried her to the car and instructed her aunt to take her home. F.S. underwent a second-trimester saline abortion on August 26, 1969. A journal article on her death identifies her as "F.S." Germaine Newman had a second-trimester abortion performed by Dr. E. Wyman Garrett in Newark, New Jersey. The next morning Germaine's mother found her lying dead on the bathroom floor. Gertrude Wynants died on July 19, 1925, of a criminal abortion. Glenna Jean Foxunderwent a second trimester abortion underwent at the hands of Dr. Morris Wortman in January of 1989. Gwendolyn Drummer was a student at Harry Ellis High in Richmond, California, when she was admitted to Doctor's Hospital of Pinole for a legal abortion. Jammie Garcia Jammie died of horrifying complications of her safe and legal abortion. Jennifer Suddeth underwent an abortion on June 30, 1982. Staff dismissed her common-law husband's repeated phone calls in which he expressed alarm at the amount of blood she was losing after leaving the facility. was only 14 years old when she underwent a legal abortion in New York on March 26, 1972. Kathy Murphy went to Inglewood Women's Hospital in Los Angeles County for an abortion on August 24, 1973. 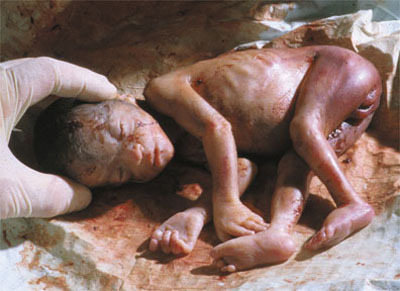 Katrina Poole's abortion was performed the afternoon of December 5, 1988, in a doctor's office in Jacksonville, Florida. Laniece Dorsey underwent an abortion at a Family Planning Associates Medical Group facility in Orange County, California, on February 6, 1986. Latachie Veal was 17 years old, and 22 weeks pregnant, when Robert Dale Crist performed an abortion on her in 1991. Though Crist discussed her death at a National Abortion Federation event where two CDC staff were present, the CDC failed to note Latachie's death. Loretta Morton was 16 years old when she underwent a legal abortion in December of 1983. She died of pulmonary embolism. Maureen Espinoza underwent her legal abortion at a Houston physician's office. Natalie Meyers was brought to San Vicente Hospital in Los Angeles by her mother on October 21, 1972. Patricia Chacon underwent a second-trimester abortion at the hands of either Edward Allred or Leslie Orleans at Allred's Avalon Hospital in Los Angeles on the morning of March 3, 1984. "Patricia" Roe's physician performed an abortion in his office using a catheter, followed by D&C. The abortion was incomplete, and Patricia later died of sepsis. Rita McDowell's abortionist deliberately performed incomplete abortions so that he could charge more for follow-up care. "Roxanne" Roe was 17 years old when she traveled to New York from Michigan to have a first-trimester abortion in a doctor's office. Sandra Kaiser's sister signed parental consent forms for the abortion that left Sandra so depressed she flung herself into traffic. Sara Niebel went to Midtown Hospital in Atlanta for an abortion at 17 weeks. She was given a clean bill of health and sent home. Sharon Davis was a 17-year-old high school student, 14 weeks pregnant, when she submitted to an abortion at a hospital in Tucumcari, New Mexico on September 20, 1982. Sharonda Rowe had an abortion done in a doctor's office in Washington, DC on October 11, 1981. Sophie McCoy died after her 1990 abortion by National Abortion Federation member Abu Hayat. Tamia Russell died January 8, 2004, after a second trimester abortion at Woman Care Clinic in Lanthrup Village, near Detroit. Teresa Causey's last words were, "Oh mama, mama, it hurts so much!" Wilma Harris went to Milan Vuitch's Laurel Clinic for an abortion. Five days later, she was dead. Is it right for a Christian to call people names? Does anybody know what became of Harvey Karman? "There is no happy outcome." What's behind the drop in abortions among minors? How soon until we start seeing this in the US? Somebody wanted "down syndrome abortion story"